Another strip wash in the kitchen then onto the bus, it’s the beer festival tonight. Doggo is in his wardrobe and L has been for a run. She says she amazes herself sometimes. The workman will be here at some point.We hope. When he does turn up, I speak to him about the heating. He’s says he’s going to phone a friend about it. It is revealed that most swimmers are wasting their time. L tells me not to say ‘I told you so’. Told you so. Even Adam Peaty doesn’t get fit in the pool he does hours pumping weights in the gym. The friend gets the heating going by hot wiring it and recommends we get British Gas in, who we have a contract with, to fix it properly. This bathroom renovation lark is all good fun. 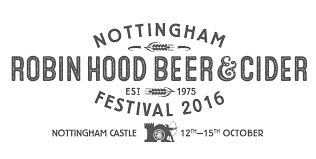 After work I meet L in Nottingham and we head to the Robin Hood aka Nottingham Beer Festival. Seven of my eight are dark taking my beer trail up from number 87 to number 94.